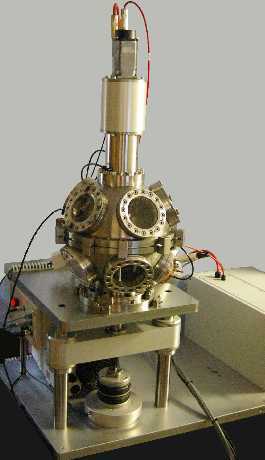 The TE 91 Precision Rotary Vacuum Tribometer is based on a bench mounted test chamber. 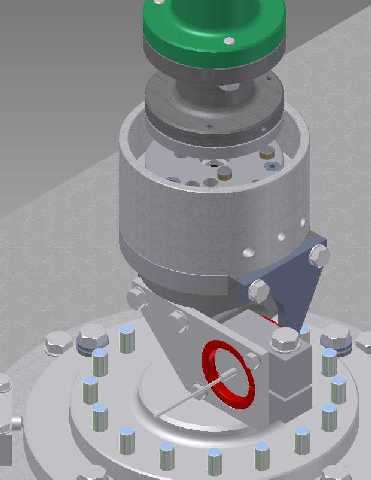 A motor driven test spindle, in the form of standard rotary feedthrough, projects downwards into the chamber and carries tooling for mounting rotating test samples. A servo motor with encoder feedback provides a variable speed turn-down ratio of 100:1. 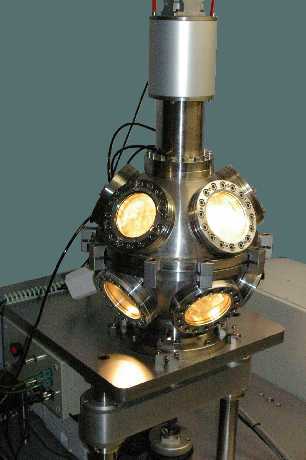 The various fixed specimen test adapters may be mounted on a mandrel projecting through the bottom of the chamber and coaxial with test spindle. The mandrel is sealed to the chamber by means of a flexible stainless steel bellows. 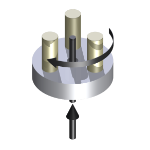 The non-chamber end of the mandrel is attached to a cross beam, which is guided by linear bearings on the vertical machine columns. 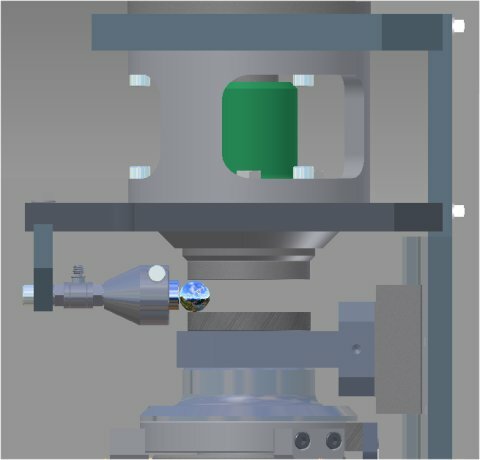 The beam is loaded from underneath by a pneumatic bellows actuator assembly which includes an in-line force transducer for measurement of the load applied outside the chamber. The force applied by the actuator is adjusted by means of a precision servo pneumatic valve. 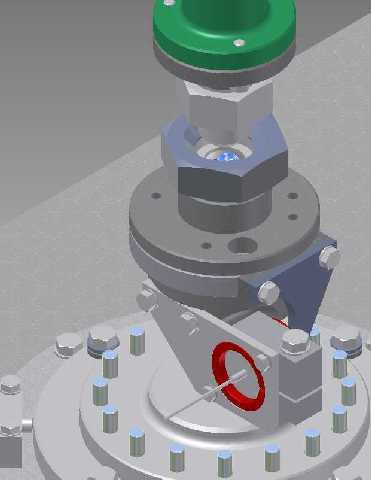 A second force transducer may be mounted inside the test chamber to measure the resulting in-chamber load force in order to calibrate the external load force transducer for different chamber operating pressures. The friction torque measuring assembly incorporates a linear torsional flexure, the rotary displacement of which is sensed by means of a linear capacitance probe. The capacitance probe is subjected to an oscillating frequency and the response measured correlates with the change in capacitance as the gap between probe and target varies. As a charge as opposed to current device, the sensor is not subject to the unwanted sensor heating effects associated with equivalent strain gauge devices. 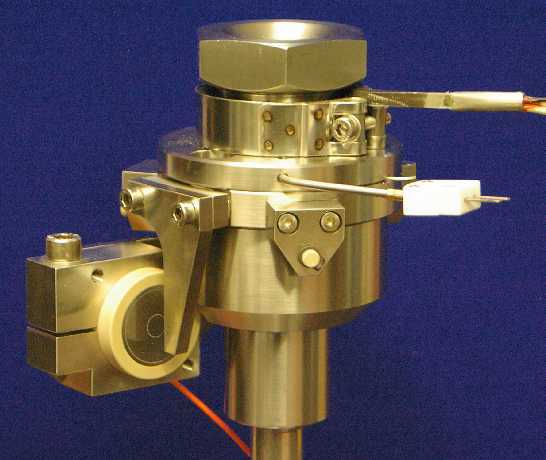 The fixed specimen tooling is electrically insulated from its surroundings and the rotating test spindle is fitted with an electrical slip ring allowing electrical contact potential measurements to be made across the specimen contact. Bake-out heaters are provided within the test chamber to assist with out-gassing. Sliding friction and wear tests are performed with test configurations equivalent to those specified in ASTM D2266 (sliding four ball), ASTM D3702 (thrust washer) and ASTM G99 (three in on disc). 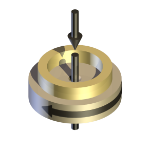 Rolling contact fatigue tests may be performed using the spiral orbit ball on disc test configuration. 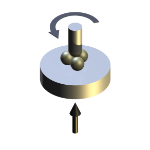 A lubricated ball is clamped between two parallel plates with one plate fixed and one plate rotating. 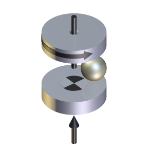 The ball follows a spiral track and is maintained in orbit by contact once per revolution with an instrumented guide plate. Instrumentation used with this adapter includes an orbit counter, piezo transducer and charge amplifier for scrub friction measurement and a high speed data acquisition card for scrub force data capture.